Whether it is a quick escape to the renowned mountains of Baguio, a surfing adventure in La Union, a long drive to the historic Fort Ilocandia or a mere stopover in Tagaytay, you will find your perfect road companion in Suzuki vehicles. 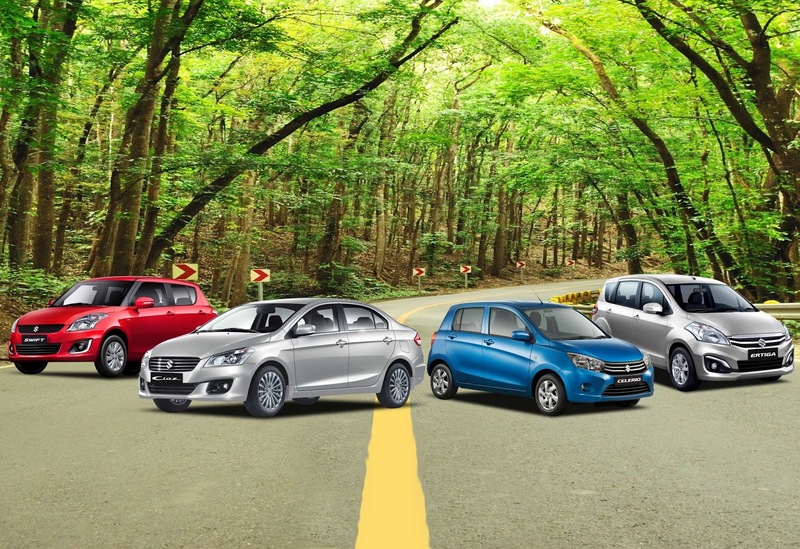 With 3 of its vehicles making it to the top 5 Overall Gasoline Category chart of DOE’s Euro-4 Fuel Economy Run last year – namely the Suzuki Celerio CVT 29.14 km/L (1st Place), the Suzuki Ciaz A/T 27.94 km/L (3rd Place) and the Suzuki Celerio M/T 27.70 km/L (5th Place) – pioneer compact car manufacturer Suzuki Philippines is able to reinforce its commitment to boost Filipinos’ love for travel. Designed to deliver exceptional performance that are nothing short of elegant and comfortable, the leading Japanese car maker presents once again their top-grossing fuel-efficient vehicles just in time for the upcoming breaks. Designed to deliver quality-driving experience at greater fuel savings compared with other vehicles of the same caliber, the subcompact sedan Ciaz is your best companion for both daily use and long drives. The car model’s numerous awards since being introduced to the local market in the first quarter of 2016 is testament to this. The Ciaz bagged the Best Subcompact Car in the 2016 CAGI Car of the Year Awards, the Best Subcompact Sedan in the 12th C! Awards and Compact Sedan Best Value for Money in the Auto Focus Media’s Choice Awards. Aside from these, the recently rolled out subcompact sedan was bequeathed the “Best Fuel Rating Award” under the Sedan-Gasoline Category during Department of Energy (DOE) Fuel Economy Run conducted last year. Available in three variants, namely the GL Manual Transmission, GL Automatic Transmission and premium GLX, Suzuki’s latest subcompact sedan is equipped with exceptional features and best-in-class fuel efficiency, Suzuki’s latest subcompact sedan earned favorable market response across Asian markets that are looking for practical yet out-of-the-box driving experience. Along with elegant exterior design and redefined interiors, the Ciaz is definitely a force to be reckoned with. Invite more family and friends to a road trip in the roomy 7-seater Ertiga! Deemed to have the Best Value for Money in the MPV category during the Auto Focus Media’s Choice Awards, this multipurpose vehicle (MPV) is also a Life Utility Vehicle (LUV) and is much bigger than other vehicles in Suzuki’s product portfolio. Combining the agility of a compact car and the spaciousness of a family car, the Ertiga will surely come very handy during outings. Its sleek yet comfortable interiors will provide passengers with the convenience and entertainment necessary for long drives. The Ertiga, which exudes elegance, boasts a keyless push start system, user-friendly multimedia Android touchscreen, Bluetooth, Wi-Fi and USB connectivity with handsfree. Successfully moving from the sidelines to being Suzuki’s best-selling vehicle of 2016, the all-time favorite Celerio brought the Japanese car brand to a whole new level last year after being awarded with Best Fuel Rating under the Over-All Gasoline Category in last year’s DOE Euro 4 Fuel Eco Run. One of Suzuki’s vehicles powered by a fuel-efficient engine and patented Total Effective Control Technology (TECT), the Celerio enables confident driving, making it the best buddy for budget-friendly trips. In addition to its sleek interiors, the model offers top-of-the-line features and a more spacious cabin and luggage space. The Suzuki Celerio best fits the younger generation who wants vehicles with a general sporty feel. Available in various exciting colors, the Celerio is without a doubt the constant companion you are looking for! All-time favorite, the classic Swift targets the sporty and adventure-seeking Filipino. Its ability to deliver smooth and seamless driving has made the famous hatchback popular among the younger generation since its release in the market in 2004 until its upgrade in 2010. Equipped with a relatively spacious cabin and sleek interiors packed with a touchscreen entertainment system, the Swift is undoubtedly one of the best travel companions you will ever have!